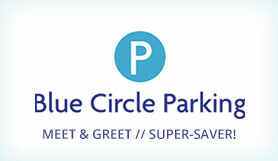 Drivefly meet and greet offer a perfect solution to your car parking needs at Luton Airport. Your car is collected outside the terminal when you leave, taken to a fully secured car park, where your car will remain until it's brought back to the airport on your return date. No transfers are needed, Luton DriveFly Meet & Greet will be an excellent alternative for disabled customers who would find it difficult to use transfer buses. Your car is collected from the terminal when you leave, and brought back to you at the terminal on return. Non flexible product - Bookings made at this special price can't be cancelled or have dates amended. This car park does not accept transit vans, roof racks, minibuses, motor homes, caravans and trailers. There will be no exit fees to pay but please be aware you have a limited time period to exit the car park, this is a maximum of 15 minutes, if you go over this time you will have to pay for the ticket again at the barrier. No need to call us when you are on your way. We have a designated Drivefly desk located in the multi storey car park with our friendly chauffeurs waiting to accept your car. If you think you are going to be more than 30 minutes late, please do call us using the telephone numbers on your confirmation email. Drive up to LEVEL 3 and follow signs to off airport meet and greet. •Please call us once you have collected all your luggage. In case of any delays please let us know. •*Our chauffeur will deliver your vehicle to the agreed pick up point at the airport.